Win a Flex Pass to this Year's Festival! Congratulations to the winners and finalists for the 2013 Phoenix Film Festival Screenplay Contest Winners. Below is a list of this year's winners. First Place: $300 Cash, a prize pack and listing on Phoenix Film Festival website, two VIP Passes to the 2013 Phoenix Film Festival (accommodation and air fare not included). Second Place: A prize pack, listing on Phoenix Film Festival website, two VIP Passes to the 2013 Phoenix Film Festival (accommodations and air fare not included). 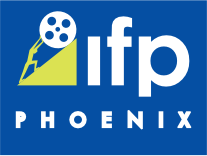 Third Place: A prize pack, listing on the Phoenix Film Festival website, a VIP Pass to the 2013 Phoenix Film Festival (accommodations and air fare not included). Ten Finalists: Ten Finalists to be posted on the Phoenix Film Festival website.